North Dakota State (16-4, 7-1): Taylor Braun is having a fantastic season, averaging 15.2 points and five rebounds per contest while shooting 50 percent from beyond the arc, but it is the Bison defense that has improved drastically to propel them to the top of the Summit League. 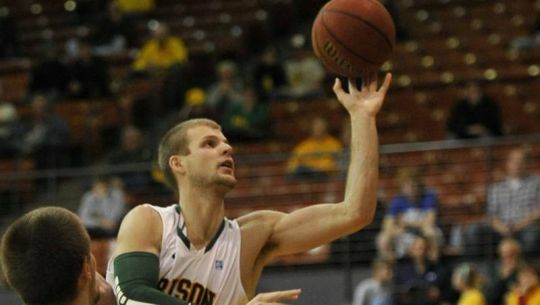 NDSU is holding opponents to 56.2 points per game and under 38 percent shooting on the season. Their last loss was against Minnesota on December 11 before falling on Saturday to a very good Western Illinois team on the road. This team is doing its best to ruin the repeat party for South Dakota State. 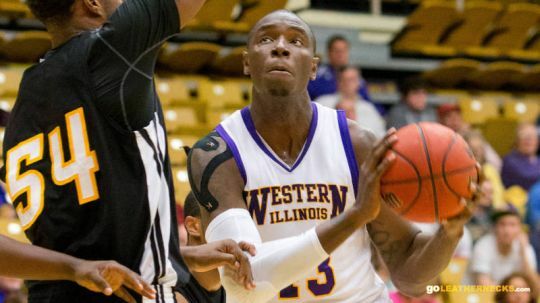 Western Illinois (15-4, 7-1): Another great defensive team that has come from nowhere to become a major title threat in the Summit. The emergence of Terell Parks as one of the best big men in the conference has made this team more than a defensive threat, but now they have a legitimate scoring big man, something they’ve lacked in the previous seasons. the duo of Parks and Ceola Clark, the two-time Summit Defensive Player of the Year, has Western Illinois holding their opponents to a measly 52.1 points per game. The Leathernecks just handed North Dakota State, one of the highest scoring teams in the conference, their first loss by holding them to 42 points. They have the ability to stop anyone and control the tempo of the game. Still, their weakness is scoring. They will need to find a way to put more points on the board to take the pressure off that great defense. South Dakota State (15-6, 6-2): The Jacks seem to have gotten things back together after starting the conference slate with two tough losses to North Dakota State and South Dakota. 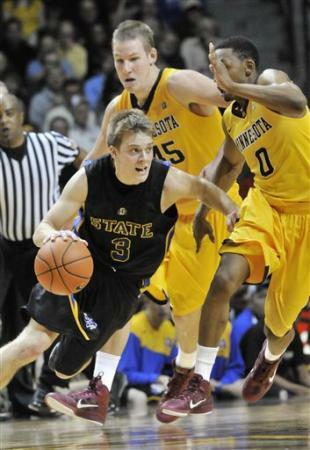 With the spotlight on Nate Wolters, there is a lot of pressure for the Jacks to perform at a high level. Anything short of a repeat and an NCAA berth would be a failure. It’s a tough position to be in, and it’s a level of expectation that they have never experienced before. Still, with the Summit League tournament being played in Sioux Falls, South Dakota, they don’t need the number-one seed to have a big advantage on the rest of the conference. Home court is already locked down. They have rematches with North Dakota State and South Dakota coming up on January 26 and January 31, and I expect them to win both of those games at home, extending their win streak to six, making us forget all about those early season woes. This is still the same team that knocked off No.16 New Mexico before Christmas. Oakland (8-13, 3-4): Travis Bader has been a fantastic scorer and Corey Petros has been better than expected in the low post, but Oakland is struggling against the top three teams in the conference (0-3). The Golden Grizzlies have been able to stay on par, beating the bad teams below them in the conference, but until they can win against one of the three teams above them in the standings, they can’t be considered a threat. Oakland is 1-10 against teams with a winning record this season. South Dakota (8-12, 4-4): Their victory over South Dakota State in early January seemed to turn some heads. Maybe South Dakota was a little better than we expected? Since that game, South Dakota has fallen to UMKC and IPFW–both teams are having forgettable seasons. Trevor Gruis has started to play well, putting up four consecutive double-digit scoring efforts, and if both him and Kansas State transfer Juevol Myles (15.4 PPG) can have a good game on the same night, this team has shown that they can beat anyone in the conference. They demonstrated that recently by routing Oakland by 19, but there is just not enough talent on their roster to make a deep run against the better teams. Kansas City (6-14, 3-5): It seems like the same thing every year for this team; they can’t rebound and they don’t have a legitimate scoring threat. It’s ironic, seeing that they have one of the better rebounders in the conference in Fred Chatmon (7.8 RPG), but he accounts for nearly a third of his teams rebounds per game. Their leading scorers are Estan Tyler (11.7) and Thomas Stanton (11.2), no one else puts up more than seven a game. When you are 272nd in scoring and 321st in rebounding, it’s actually impressive that they’ve been able to hang around with a 3-5 conference record. Omaha (5-15, 2-6): I can’t imagine UNO fans had high expectations for this first season in the Summit League, but they must be pleasantly surprised by what they have in Justin Simmons and John Karhoff. Both juniors will be ready for a better senior year, when the team becomes eligible for a tournament berth. Fort Wayne (9-12, 2-5): IPFW has not had a good season so far. Earlier this week, I would have told you that I could see them going 3-1 over their next four games to get them to .500 for the season, but they just lost to UMKC, one of their few remaining winnable conference games. So now, I could just as easily see them going 0-4 and dropping from our minds entirely. Frank Gaines was an early candidate for Player of the Year, and is averaging 18.5 PPG, but his shooting average has dropped below 40 percent, and his three-point shooting is below 30 percent. Fort Wayne needs him to play much better if they want to take advantage of this easier stretch of conference games. IUPUI (1-7, 6-16): There isn’t much hope in salvaging this season for the Jags. They have just four wins over Division I opponents and they are only averaging 65 points per game against conference foes, 13 points less than they are giving up. Their 38-point loss to NDSU was one of the most lopsided in league history. Purdue Transfer John Hart is one of the few good things to happen to the Jags all season. North Dakota State at South Dakota State, January 26, 3 PM ET — A rivalry will be renewed as the top teams in the Summit League square off for what could prove to be a decisive game in the battle for a conference title. Western Illinois at North Dakota State & South Dakota State; February 14-16 — I know it is still several weeks away, but with the way Western Illinois is playing, none of their next few games will challenge them if they continue at this level. But that will make for one heck of a weekend starting February 14 when they start the always-difficult Dakotas trip. Teams rarely come out unscathed from this late season trip north, and it will be worth checking out. This entry was posted on Thursday, January 24th, 2013 at 5:24 pm by Brian Goodman	and is filed under checking in on, microsites, other 26. Tagged: Ceola Clark, estan tyler, fort wayne, frank gaines, fred chatmon, iupui, john hart, john karhoff, juevol myles, justin simmons, kansas city, Nate Wolters, north dakota state, oakland, omaha, South Dakota, south dakota state, taylor braun, terell parks, thomas staton, travis bader, trevor gruis, western illinois. You can follow any responses to this entry through the RSS 2.0 feed. You can leave a response, or trackback from your own site.